TAHOE/TRUCKEE, Calif. — On any given day, Lety’s Pre School in Sierra Meadows looks like a Norman Rockwell painting. Children are dropped off in the morning kissing and waving goodbye to parents as they place their belongings in their cubbies, remove their shoes, and run inside with wide smiles. Once the doors close, the children begin a unique learning experience. The children, whose average ages are between 2 and 5, are spoken to only in Spanish. Leticia Aguilar, who owns and leads the educational programming at Lety’s Pre School and Day Care, creates an amazing immersion learning environment, where children learn a second language, but are exposed to topics that extend far beyond the norm. 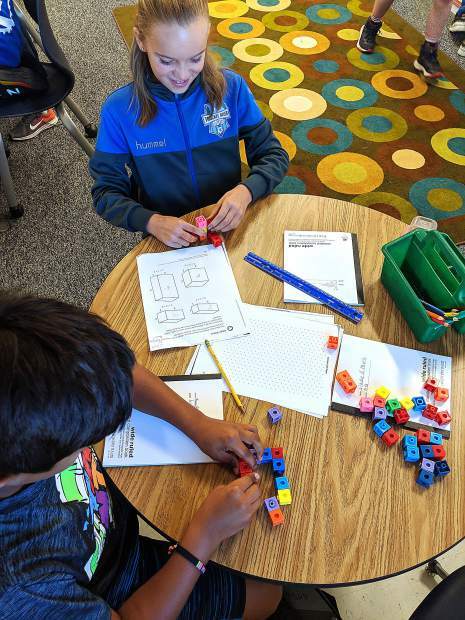 The variety of topics extend beyond letters, numbers, and sharing. They might include: The environment, horticulture, science, nutrition, exercise, and of course, people. Every spring, the children learn about a new country and present what they learn to their parents at a Mother’s Day celebration that honors that country and its culture. This year, the children studied the culture of Japan. Parent Ako Martin volunteered her time to educate the children and teach them about her native country and its culture. 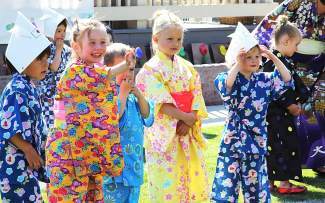 At the Mother’s Day celebration held at the school on Friday, May 3, the children performed five songs and dances in Japanese. In addition, they also showed off their new Japanese vocabulary by identifying colors and other objects in Japanese. For an English-speaking child, this would be very impressive, but for children who are already learning Spanish as a second language, this is remarkable. The celebration featured foods from Japan and wonderful Japanese fans the children made as gifts for their mothers. These children are getting a stellar educational experience, in addition to the love and support of nurturing teachers. For more information about Lety’s Pre School and Daycare, visit http://www.letyspreschooldaycare.com.